Geoff’s previous adjudicating engagements include, West Clare Drama Festival 2010; Rush Drama Festival, 2011; Ballinamore Drama Festival, 2012; Mid – Ulster Drama Festival, 2012. He adjudicated Skerries One Act Drama Festival for 3 years from 2009 -2011. He adjudicated at the Cavan, Dundrum and Haulbowline One Act Festivals in 2012. In 2013 he adjudicated both the Kerry and Newry Drama Festivals, The Macra National Drama Finals and The All Ireland One Act Drama Finals held in Roscommon Arts Centre. In 2014 he adjuicated the All Ireland Confined Drama Finals in Claremorris. Theatre: Paul in My Second Self for No Tears Productions at Players Theatre, Trinity; David/Divina in Aul’Divina and Me/I for Biscuits for Breakfast Productions as part of the International Dublin Gay Theatre Festival; James in Dinner for One, for Offaly Drama Project, Birr Theatre and Arts Centre; Mikey in The Highest House on the Mountain for Tavistock Arts Theatre Company at Smock Alley Theatre; Ms. Kitty in Billy Redden for IYT at The International Dublin Gay Theatre Festival, 2010, where he received the Michael Mc Liammoir Award for Best Male Actor; Michael in SPARC Productions’ A Whistle in the Dark; Richard Greatham in Hayfever for Shift Theatre Company. Credits as a Director include, Big, Big Trouble with The Santa Claus Double; Frank Pig Says Hello; Macbeth; Santa’s Cracking Christmas Adventure; Wilde about Williams; Sharon’s Grave, A Christmas Carol and SaveUs MaveUs and the Santa Claus Rescue for Mill Productions. He worked as Assistant Director and Set Designer on Tarry Flynn for Mill Productions. At The Black Pig’s Dyke for Cavan Culture Theatre Project; Lost Weekend by Gillian Grattan at Axis Theatre, Ballymun. Radio: Hooked!, Beyond the Forest and The Undertakers by Gillian Grattan for KCLR. TV: Blackmarkets Ireland; TV3; Idir Mná, TG4; The Only Viking in the Village, RTE. Film: the title role in Franky’s Revolution for Try Hard Productions; Ug Murhy/Chuck Jackson in the web series Director Hector: The Making of ActionTraction; Immigration Officer in The Waitress for Vico Films; The Oracle in AFistful of Diamonds for It’s not the Ritz productions. Credits as a Writer: Big, Big Trouble with The Santa Claus Double; Saveus Maveus and the Santa Claus Rescue and Santa’s Cracking Christmas Adventure. Geoff enjoyed considerable success on the amateur circuit for many years. Favourite roles include, Falstaff (The Merry Wives of Windsor); Carthage Kilbride (By the Bog of Cats) and Tom Fool (At the Black Pig’s Dyke). He won the Adjudicator’s Award for his portrayal of William in Melody at the All Ireland One Finals, Carrickmore, 2006. Highlights of his work as a director at that time include, the Irish amateur production of La Corbiere (All Ireland Finalist); On Baile’s Strand at The Abbey Theatre, as part of its centenary celebrations; Riders to TheSea, (All Ireland One Act Winner, 2007) and The Great Hunger (Athlone Finalist). 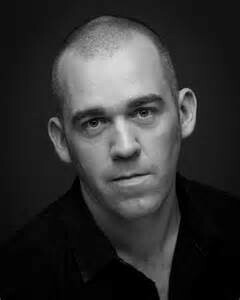 Geoff holds an MA in Theatre Studies from DCU and in 2010 completed further training at The Focus Theatre Actor’s Studio.